I always love to hear from people starting a new vegetable garden. What a wonderful thing. And on this Inauguration Day, a day of such hopeful new beginnings, it seems a particularly appropriate topic. I was asked to post information on starting a garden. How-to information. But it also gives me a chance to reminisce. 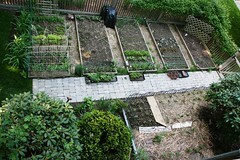 And to follow my newly expanded community garden space this season. 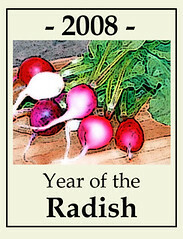 I'll put a new link on my sidebar "For New Vegetable Gardeners". To reminisce a bit, I started helping my Dad in his gardens more than 30 years ago. I remember the vegetable gardens he started back in 1972. He marked out plots with string and then turned the lawn over. I remember strawberries and awesome tomatoes. I wish I had photos. I grew my own first garden outside our first apartment in a small plot our landlord let us use. 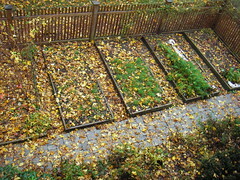 There were three nice gardens in back yards very close together and I'd look across the fences to see what was growing. One of the gardeners was an older Italian man who knew what he was doing. I'd admire his tomato supports, tall tomato plants and heavy bearing peppers. Last year I got my first community garden plot and this year I have a large area of newly claimed garden area to fill with vegetables. One of my favorite video clips is this one showing a new vegetable garden: from turning the lawn to harvesting the tomatoes. Its fantastic. Its part of the proposal for an edible garden on the White House lawn. We'll see if the new President joins the ranks of new gardeners. Many Presidents have been gardeners. I just read a nice article at Dave's Garden about Presidential Gardens. The article has a photo of one of my favorite gardens - a fantastic garden kitchen at Jefferson's home in Monticello. Talk about inspirational! I always imagine I would have so much space, and such a neat and organized garden. And so much color! 1- Identify where your garden will be. The main thing needed is sunlight. The more the better. Also a flat spot and a way to get water to the plants. 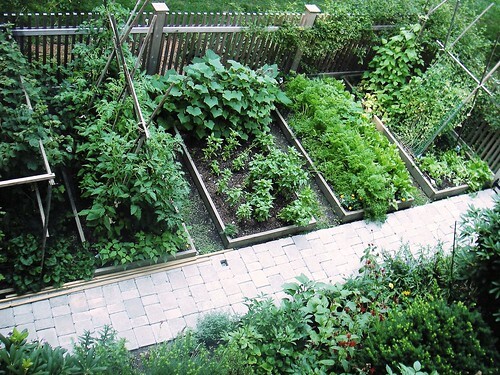 Lots of different types of spaces work for edible gardens, including balconies, patios, front yards, back yards, containers, raised beds, etc. I love to see vegetable plants scattered among shrubs and flowers in a perennial area. And don't forget to consider a community garden. 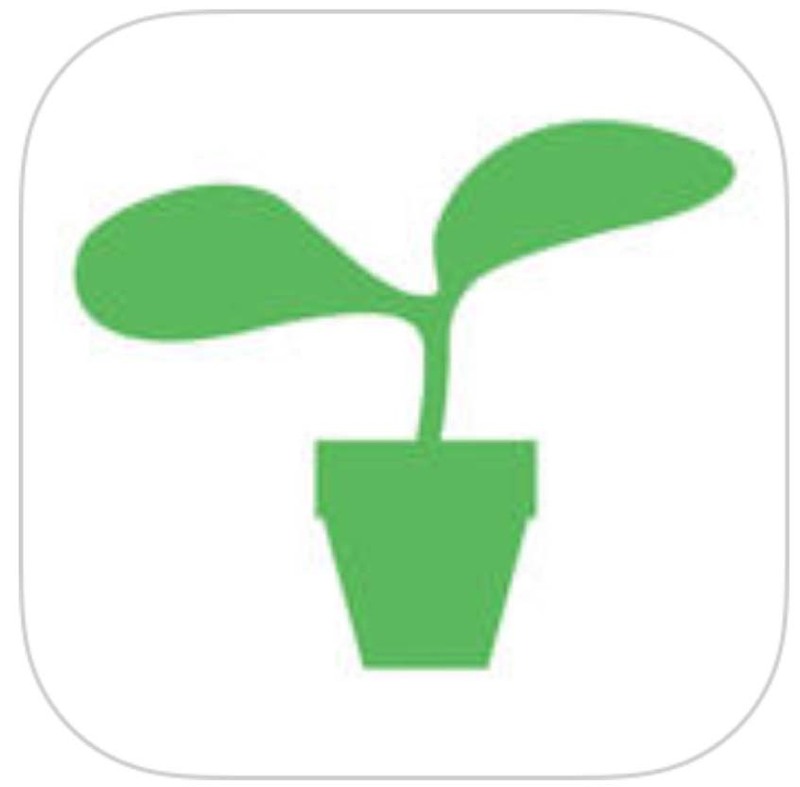 Here's a link to find the community garden closest to you. 2- Check the soil. If there's any chance of lead or other contaminants, do a soil test. Here's where I send my soil for testing. Even aside from lead, the soil test will tell you exactly how much organic matter, nutrients and lime you should add to the soil. 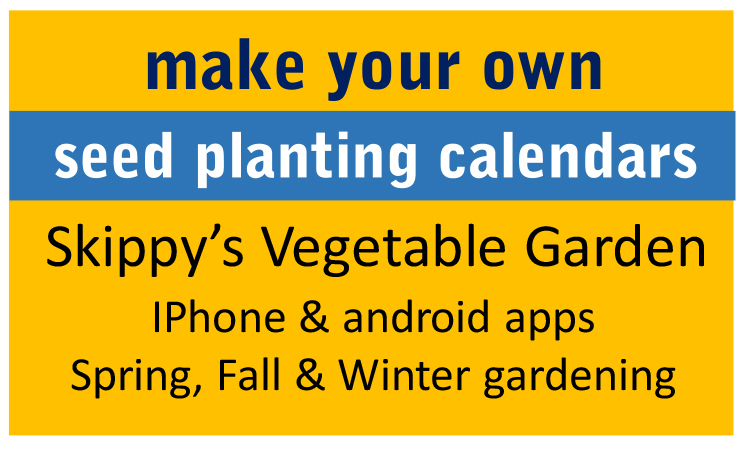 3- Make a list of the vegetables you'd like to grow. As a suggestion, start with five vegetables: e.g. peas, green beans, tomatoes, cucumbers and zucchini squash. Potatoes also work well for getting the soil mixed in a new garden. Learn about culture of these vegetables. Pea seeds should be planted outside as soon as the soil thaws (March or April), beans seeds also should be planted directly in the garden but after all danger of frost is past (May or June). You can buy young seedlings of tomatoes, cucumbers and zucchinis and transplant these into your garden. or in your head, but its good to have a sense of what you plan to plant, how many plants and where they will be. Here are some of my plans. 5- Prepare the soil. 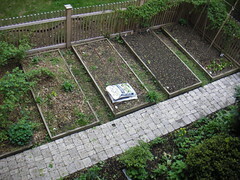 Patrick has a great post on turning a lawn into a garden. This can be a big topic. For a first year, I'd say to turn the soil (with a shovel) to loosen it. Optimally, you want to spread 2 inches of compost, along with lime and fertilizer, and then turn it again to mix. If you've done a soil test, the results will tell you exactly what and how much you need to add. And it will list organic and conventional sources. There are innumerable details to fill in. Let me know what topics are most useful for new gardeners. Or leave a comment on your new garden plans. But one of my favorite sources is Bifurcated Carrots. Check out this post for more information. Here's how my new community garden plot looked early last spring and, at the right, how my newly expanded space looked this fall. I feel such hope, promise and joy in a fresh plot of dirt. Big dreams. Newness. 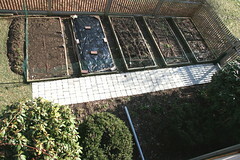 I'm starting a new vegetable garden this year....that's because I moved here in October. 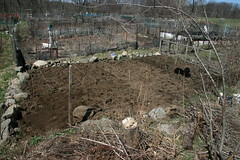 I have no idea what the soil is like here and only a vague idea of where the garden will be tilled. I want to make my section into permanent raised beds. I know how to be a gardener in Vermont and am hoping the Adirondacks will be about the same. Thank you so much for this post. I've been following you and Skippy for over a year now and look forward to every post. I had a few tomato, pepper, and basil plants in large bins last year that produced good amounts. 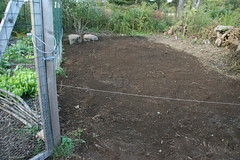 We plan on tilling a 20' x 17' garden this year in the backyard. Your wisdom and insight is very much appreciated. 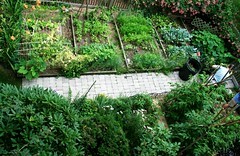 If you have the time, check out my plan at http://onesmallvictorygarden.blogspot.com. Great post, I think for experienced/established gardens as well as new ones. I moved into my new house last June, so this is my first full year to build a veg garden. While I did do some limited planting last summer and fall (and got a relatively nice result, all things considered I guess) this is the first "from scratch planning" round. I especially am looking forward to the successive planting I want to try. Your garden is both inspiring and informative. Oh shoot I think I voted incorrectly... HA! I'm looking forward to expanding my planting space and I pledge to give away more fresh produce. I watching Jamie Oliver on Foodtv last summer and thought if he could grow potatoes so could I. During my "research" I came accross your blog and have been inspired and reading it ever since! I ordered seeds from Johnny's and had my dh build me two beds (they sit on my driveway and are 8x2' each). I had a lot of success with lettuces and pole beans, but my carrots were teeny tiny (allbeit yummy if only they weren't bitesized!) I just completed my seed order and am in need of three more beds this year. Looking forward to planting once the snow melts! Thank you so much for all your information and great ideas! What a great post! I'm working on encouraging new vegetable gardeners this spring, and it's such fun. My wife and I moved into our house last May, we had a small garden with some tomatoes, peppers, herbs, zuchini, and watermelon. This summer I am planning to add more veggies and am going to take over a small parking spot with raised beds. I'm a little nervous about the amount of sun it gets (it's mostly in the morning, maybe five hours+) and the amount of veggies (hope it's not too overwhelming) I am going to try to grow: carrots, radishes, beets, peppers, potato towers, lettuce, cabbage, tomatoes, and watermelon, and cukes. It should be an interesting summer...Anyways, I've been enjoying your posts and look forward to them. Your garden (the one at your house) gives me the confidence that maybe the spot I chose will work. Thank you and thanks for the blog! I'm so glad you made this post. I moved this past fall into an apartment where the owner, who previously lived here, had built a 2'x8' raised bed in the backyard. He's told me I'm free to use it. I've been so excited to plan, and having just found your blog has helped me so much. Especially since I'm not so far away, over in Somerville. I left you something at my blog, take a look over there to pick it up! I just discovered you today and can't wait to read more. It's great to see you mentioned testing for lead. I'm just about to go dig out a large area of lead-contaminated soil and use it to back-fill a retaining wall we had put in. (Some of our soil will have to be "thrown away", though, which is one of the most counter-intuitive (and expensive) actions I've ever had to take. It's very sad and challenging to garden in a polluted yard, but I will prevail and make a safe, healthy garden for our family. Thanks for your great resources here. Hi Kathy, I have always gardened. I got it from my Mom. 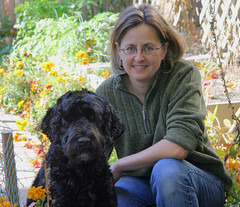 She first planted veggies and flowers as a child on a steep hillside in Pittsburgh, PA. Her gardens grew as we moved to the country. I've inherited her love for everything fresh and natural. I plant a garden every year, but this year I'm also trying a winter garden. I've enclosed a small garden off the side of our house, and am currently planting cool weather plants indoors to set out in my makeshift "greenhouse" in Feb. It's nice to see an area right outside the window with no snow! Can't wait to taste fresh veggies again soon!! I was just checking my local weather at Weather.com and thought I'd surf around the site some. I found some really neat gardening stuff. On their top menu bar, put your mouse over "Home & Family" and then click on "Lawn & Garden". 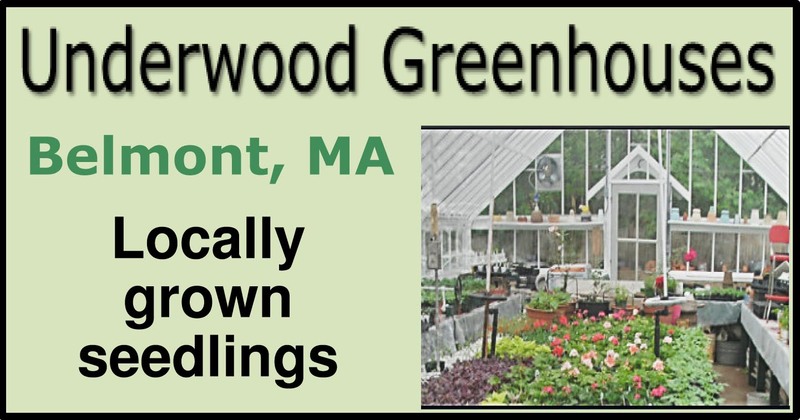 There's 4 catagories to look through: "Gardener's Local Forcast"; "Garden Care Calendar"; "Greenthumb Gazette" and "Essential Planting Guides". Since I'm still new at this, I figure I could use all the help I can get. Hehe. such a great blog, thank you! i'm starting a veggie garden in the roslindale community garden with my son and baby--we are trying to find a good local source for veggie and fruit seedlings... if you have any suggestions I would be so grateful. I like to try all the little local nurseries. 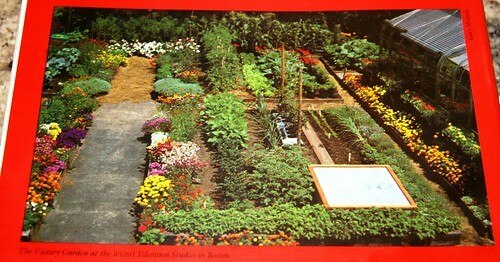 Google "garden nursery loc: roslindale, MA". You'll get a list of local places. You can buy a few seedlings at each! Mahoney's is great and many locations. I like my True Value Hardware store because its right around the corner. Pemberton's in Cambridge is really nice too. I also recommend a tiny place on the Belmont side of Cambridge called Bonnie's. I will attmept to start a veggie garden next year. I have the space, but I know nothing about gardening!! 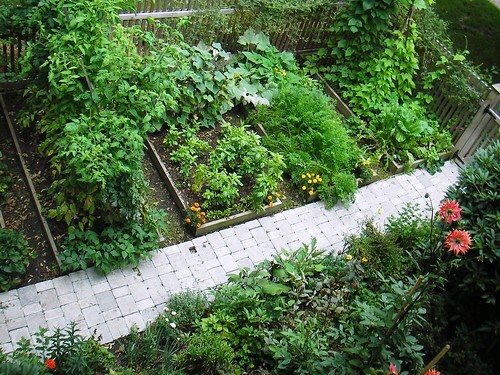 When is the best time of the year to start a vegetable garden? In other words, how early in the year should I start preparing the seeds and such? Thank you for your blog is very educational and give a big hug to Skippy, he is just cutie! You know something. 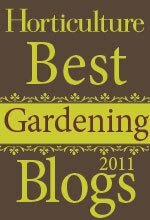 This is the best piece of informative article I have come across in my 4 month's of blog searching for my garden. 3 cheers to you!! This is exactly what I was looking for. And you can be sure I'll visit this piece again and again as start my veggie garden. Its a great! I'm working on encouraging new vegetable gardeners this spring, and it's really great. I don't know what to do about voles. We have MANY at the community gardens this year. If its at your house, I'd say how about a cat? 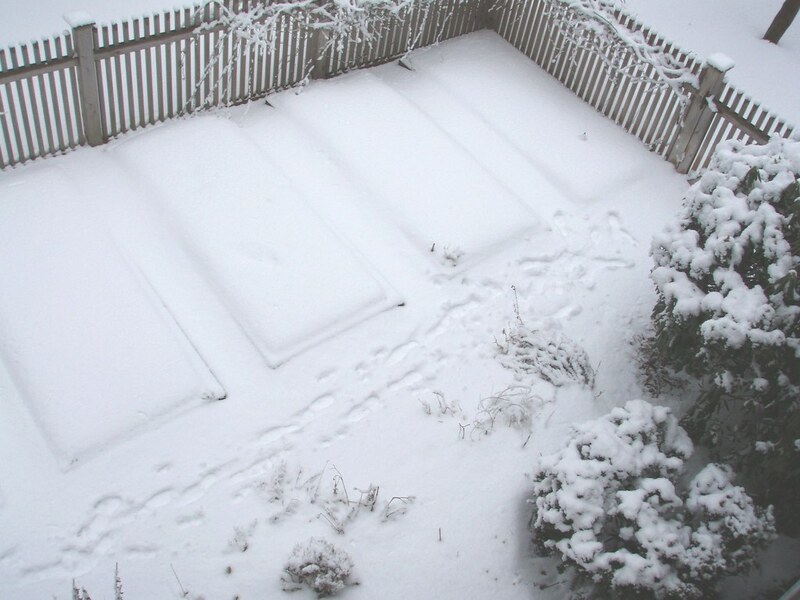 I think the hawks and coyotes will reduce our voles at the community gardens now that the snow cover is gone. Other than that, I don't know. Maybe someone else does? They eat potatoes, beets, carrots and other roots like iris and dahlia tubers. Maybe you want to avoid these if the problem is bad. I have not read "Carrot Loves Tomato", but it sounds really good. 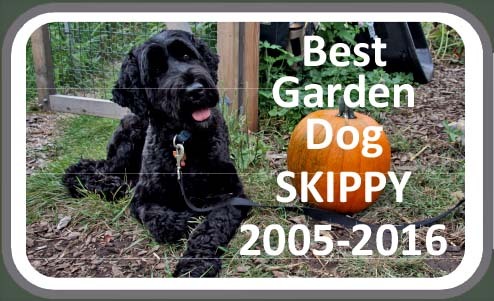 I have the book "Great Garden Companions", which is great and I can recommend this. 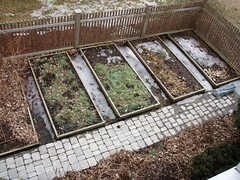 Can't wait till it gets warm outside gunna use this guide to start my garden! I have been gardening most of my life and I love it. There is nothing like working in the garden to bring peace. I live in the mountain west area so we have to do a few things different with soil prep. Our soil here is very alkaline so we cannot add lime to it. Most of the time we need to make the soil more acidic. I recently moved to a new home and I am starting over with a garden but I finally have more room to grow more plants. My family loves our garden and so do my neighbors who get to share in very productive zucchini plants and other excess. There is nothing like fresh home grown vegetables and fruit. I found your blog this year and have enjoyed your posts. Thank you for all the time you put in to sharing what you love. Thanks for the great post! I love eating fresh foods from farmers markets and can't wait to start my own garden as soon as I have some outdoor space. I look forward to reading the rest of your posts. I love to hear about new gardens being started up. Good luck! Hello, Thank you for your website. I have spent the day reading through everyones input. I'm about to start a larger garden this next season and I'm a little nervous! 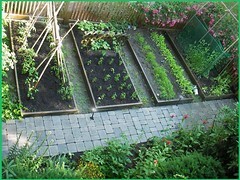 I'm thinking about raised beds and watering schedules and tomato supports, bean supports, space and layout. I can't hardly wait to share what this new year will bring. Thanks for posting. Kathy - It's nice to see someone value aesthetics as much as i do! Your tips are on the money. I just planted favas and peas - another season upon us!